With Microsoft Outlook 2007, it is possible to leave a copy of each message on the mail server after you read it. You will want to do this if you read e-mails in Outlook and another program. 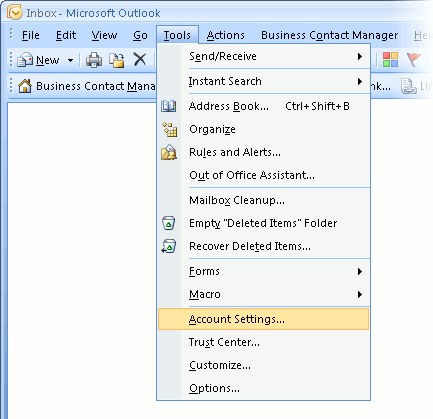 If you don't set up Outlook to leave your messages on the server, it will delete the messages as soon as it connects to read mail, and the other program won't be able to see the messages. 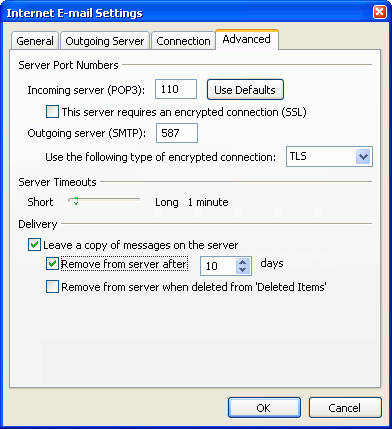 This page explains how to set up Outlook to leave a copy of each message on the server. 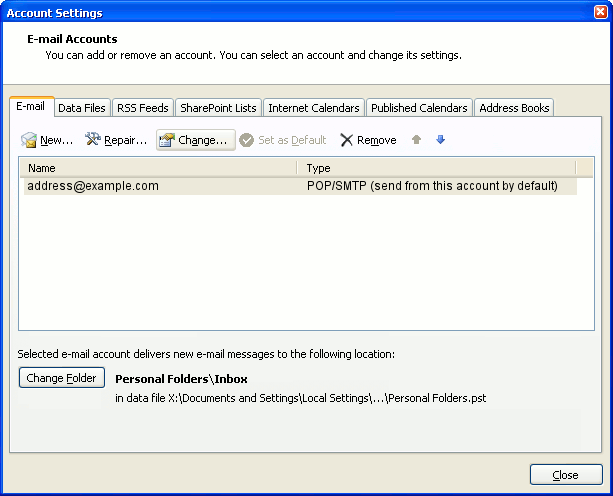 It assumes that you have already followed the basic instructions to set up Outlook 2007. Before you continue, you should enter your e-mail address (the address you want to set up in Microsoft Outlook) in the box above. Entering your e-mail address makes sure that the instructions below are correct. 2. Select the account to change. Highlight the account you want to change, then click Change to open the settings window. 3. The "Change E-mail Account" window opens. 4. Open the Advanced settings screen. Click the "More Settings" button, then choose the "Advanced" tab. In the "Advanced" tab, check the Leave a copy of messages on the server checkbox. To make sure copies of every message don't stay on the server forever (which can slow down your mail connections and use up your disk space allowance), we also recommend checking the box marked Remove from server after X days. Choose a number of days that's long enough that you'll be able to read the messages in your other mail program (or Webmail). Even using a large number such as 100 days is better than not checking this box. 5. Close the settings windows. Click OK to close the "Internet E-mail Settings" window. The "Change E-mail Account" screen will then be visible. Click Next, then Finish.